"What an awesome office. I've been coming here for years. The staff and Dr. are amazing." "Dr. Margiotta is hands down the best and most professional dentist I have ever visited." Antonio Margiotta, DMD, is a general and cosmetic dentist serving patients around the Walnut Creek, California, community at Dental Artistry of Walnut Creek. A Walnut Creek native, Dr. Margiotta began his dental career at Boston University of Dentistry, where he received a Doctor of Dental Medicine degree. Shortly after, he attended the University of the Pacific to complete a prestigious advanced dentistry residency. Despite graduating more than two decades ago, Dr. Margiotta has always been passionate about continuing education. Following his advanced dentistry residency, he quickly enrolled in courses to help him better understand oral healthcare in the constantly evolving dental field. Dr. Margiotta is committed to staying up-to-date on all the technological advances, dental materials, and innovative treatment options in dentistry. To provide his dedicated patients with the highest quality care possible, he makes sure to complete 125 hours of continuing education courses each year. As an experienced dentist who has been practicing since 1997, Dr. Margiotta specializes in dental procedures such as root canals, oral surgery, oral reconstruction, and cosmetic dentistry techniques. Dr. Margiotta is passionate about caring for his patients, but when he’s not working, he enjoys spending time with his wife and three children. In his spare time, Dr. Margiotta also serves as the assistant wrestling coach at Las Lomas High School. No insurance? Pay $59 and receive a dental exam, x-rays & cleaning. FREE Implant Consultation! "Dr. Tony and his staff are fantastic. It feels great to have the work I have always wanted done by the best man for the job!" "I've been going to Dr. Margiotta for the last 8 years and have actually enjoyed my visits. 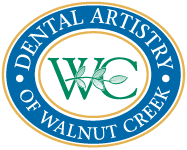 I highly recommend Dental Artistry of Walnut Creek." "At 54 years of age, I've seen my fair share of dentists and I can unequivocally say - "Dr. Margiotta is one of the best!"." "Dr. Margiotta's attention to detail, knowledge and professionalism is why I trust him with my oral care. He is my dentist and I would not consider going to anyone else." "Dr. Margiotta has been my dentist for years. He is very professional with friendly, awesome staff. I highly recommend his services." "I've been going to see Dr. Tony for about six years now. He is also on the cutting edge of technology with the latest devices."